EvaluAgent provides everything you need to evaluate, coach and engage agents. All from one cloud-based platform. No spreadsheets required. Theall-in-oneplatform for teams of any size. 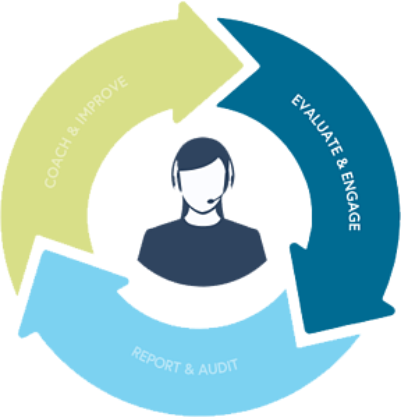 Improve quality, coaching and compliance by engaging your customer service teams. Because we all know that Happy Staff = Happy Customers. Build unlimited scorecards and start to evaluate interactions across every contact channel. Send results and feedback to agents in real-time and watch as they become more engaged and capable of delivering a superior customer experience. Generate intuitive reports with just one-click. Quickly identify which agents, behaviours or processes need more attention. 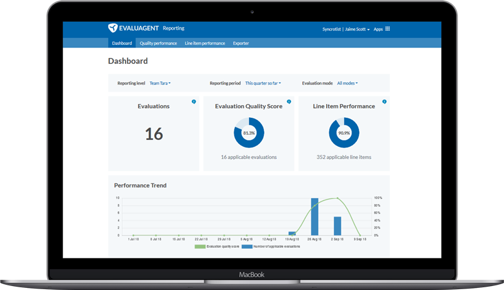 Use EvaluAgent to demonstrate your impact and reduce compliance breaches. Identify opportunities for improvement, build coaching forms and coach agents with both customer and compliance in mind. Develop a culture of learning that leads to employee engagement and better conversations. Try EvaluAgent for free with no commitment. Plays nicely with your existing systems. 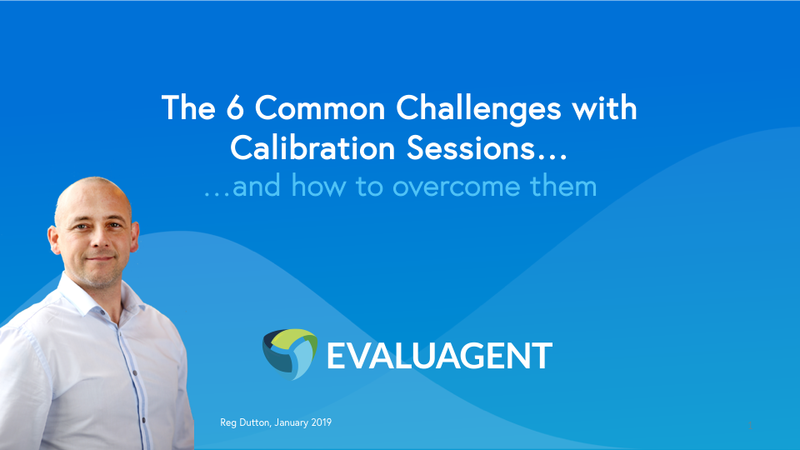 Speed up the evaluation process, remove selection bias and bring together your data sources. EvaluAgent works as an independent platform or integrates with your favourite systems. Natively, or via an open-API. More than just great software. You don't have to go it alone - our team will walk you through everything. From building an effective scorecard to improving agent engagement, our experienced customer success team will be on hand every step of the way. In this latest webinar, we were joined by CX and Analytics expert, Keir Woolhouse, to discuss the future of Quality Assurance. To learn more, watch the recording. ...and how to overcome them. 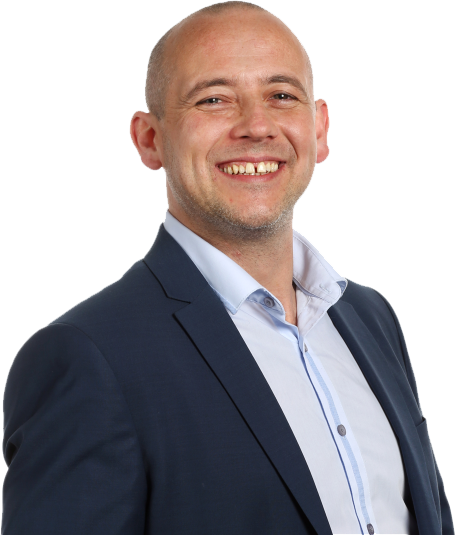 Watch the recording of our latest Webinar Wednesdays where subject matter expert, Reg Dutton shares his top tips on popular topics. 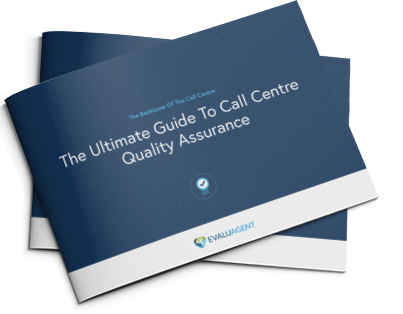 The Ultimate Guide to Call Centre Quality Assurance. With everything you need to evaluate, coach and engage agents, plus a support team on-hand to help, taking quality to the next level has never been easier. We're delivering an ROI for clients of all shapes and sizes.